Robert Edward ÃƒÂ¢Ã‚Â€Ã‚ÂœRobbieÃƒÂ¢Ã‚Â€Ã‚Â� Robinson entered all-white Savannah High on Sept. 3, 1963, one of 12 black seniors to take that step. He would graduate the following spring and go on to become a lawyer and Savannah alderman before a mail bomb tore through his Abercorn Street law office on Dec. 18, 1989, killing him. He was 42. At least five of the 19 who crossed the racial lines at Savannah and Groves high schools in 1963 have since died, but none paid a greater price than Robinson. 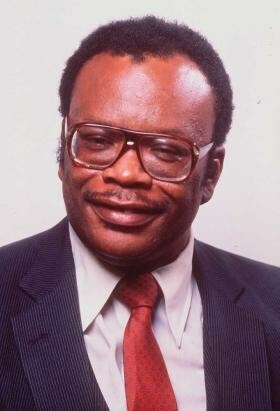 Savannah attorney Sage Brown had known Robinson since the second grade and remembered him as a quiet, studious person who became consumed with the Civil Rights Movement for the rest of his life. ÃƒÂ¢Ã‚Â€Ã‚ÂœRobbie never grew past the Civil Rights Movement,ÃƒÂ¢Ã‚Â€Ã‚Â� Brown said, noting that Robinson was general counsel to the NAACP until his death. ÃƒÂ¢Ã‚Â€Ã‚ÂœWhen you go through something like this, it changes you. It becomes a part of you.ÃƒÂ¢Ã‚Â€Ã‚Â� ÃƒÂ¢Ã‚Â€Ã‚ÂœI believe that because of his representation and participation in certain federal litigation, that he was singled out,ÃƒÂ¢Ã‚Â€Ã‚Â� said Brown, who desegregated Groves High School the same time Robinson entered Savannah High School. ÃƒÂ¢Ã‚Â€Ã‚ÂœThereÃƒÂ¢Ã‚Â€Ã‚Â™s no doubt in my mind that Robbie was killed because of that.ÃƒÂ¢Ã‚Â€Ã‚Â� Robinson practiced law with Bobby L. Hill, a civil rights firebrand attorney and state legislator, and Fletcher Farrington, a native of Selma, Ala., who came to Savannah in 1971 after serving in the Justice DepartmentÃƒÂ¢Ã‚Â€Ã‚Â™s Civil Rights Division. Robinson was in his second term as 5th District alderman when he was killed. A year after his slaying, federal officials obtained a 70-count indictment against Walter Leroy Moody Jr., 56, of Rex, including a murder charge in the slaying of 11th U.S. Circuit Court of Appeals Judge Robert S. Vance on Dec. 16, 1989, in a mail bomb explosion at his home in Mountain Brook, Ala. Federal law does not provide for a murder charge in RobinsonÃƒÂ¢Ã‚Â€Ã‚Â™s death because he was not a federal official, so the indictment charged Moody with transporting explosive material with intent to kill, causing a death. Moody was convicted in federal court in June 1991 of 70 offenses, including murder in the Vance slaying, and sentenced to serve consecutive life terms without parole. He was later convicted in an Alabama circuit court in Birmingham in the slayings of Vance and Robinson and sentenced to death in February 1997. He is appealing the sentence. Prosecutors told jurors Moody targeted Robinson and the NAACP out of a simmering racial hatred, then tried to turn investigators toward a group such as the Ku Klux Klan as the likely suspect. AMONG THE FIRST The first black students to attend all-white schools in Savannah-Chatham County in 1963 were: Groves High School Sage Brown Martha Coleman Delores Cooper Floria Ann Goldwire George Shinhoster Sadie Mae Simmons Sara Townsend Savannah High School John Alexander Eddie Banner John Briggs Ulysses Bryant Jr. Frankie Coleman Geraldine Loadholt Lillian Meyers Robert Edward ÃƒÂ¢Ã‚Â€Ã‚ÂœRobbieÃƒÂ¢Ã‚Â€Ã‚Â� Robinson Florence Russell Robert Stephenson Anistine Thompson Georgia Lowman IF YOU GO The Committee to Celebrate the 50th Anniversary of the Desegregation of Savannah will host two days of activities, including: ÃƒÂ¢Ã‚Â€Ã‚Â¢ 1-5 p.m. Aug. 24 at Savannah High School there will be a discussion of major civil rights victories during the summer of 1963. ÃƒÂ¢Ã‚Â€Ã‚Â¢ 4 p.m. Aug. 25 is an Ole Fashion Sunday Mass Meeting at First African Baptist Church on Franklin Square with the theme: ÃƒÂ¢Ã‚Â€Ã‚ÂœReflections of the Past, A Glimpse of the Future.ÃƒÂ¢Ã‚Â€Ã‚Â� ÃƒÂ¢Ã‚Â€Ã‚Â¢ 6 p.m. Aug. 25 will be a march from the north side of Forsyth Park to St. Phillip Monumental AME Church at Jefferson and Park streets, sponsored by the Savannah Regional Central Labor Council, AFL-CIO, St. Phillip Monumental AME Church and the Interdenominational Ministerial Alliance.